VIRAL: Is this the real-life Cardo/Paloma? 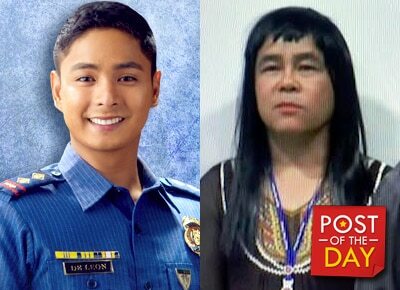 Viewers love Coco Martin’s role as Cardo in FPJ’s Ang Probinsyano. They even raved about his looks when he disguised himself as a beautiful woman named Paloma. Recently, there was a real life Cardo/Paloma incident abroad. Pol. Sen. Sgt. 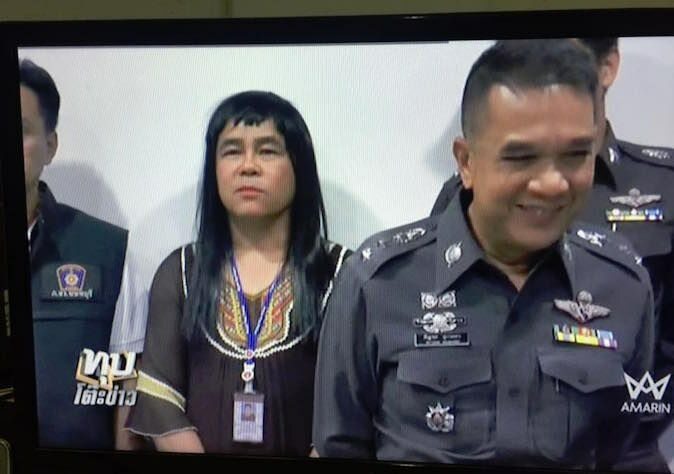 Maj. Vivek Kamolvibul, a policeman from Bangkok, Thailand disguised as a beautiful woman with long black hair to catch some teens who rob women who commute alone. The victims reported that last December 7 and 8, some teens riding a motorcycle threatened them with knives and snatched away their purses. Officer Kamolvibul then waited at the bus stop on Rattanathibet Road around 4 to 5 in the morning. He soon recognized the motorcycle and had them followed. The suspect, Thanawat Krutsorn, 18, and his accomplice, aged 17, were caught and admitted to the crime. They revealed that they took “4x100 drugs,” aka the Thai version of Purple Drank, and when they get high enough they go target the women who are alone. They soon spend their money on drugs.